My Story, His Grace: Trampoline Workout! 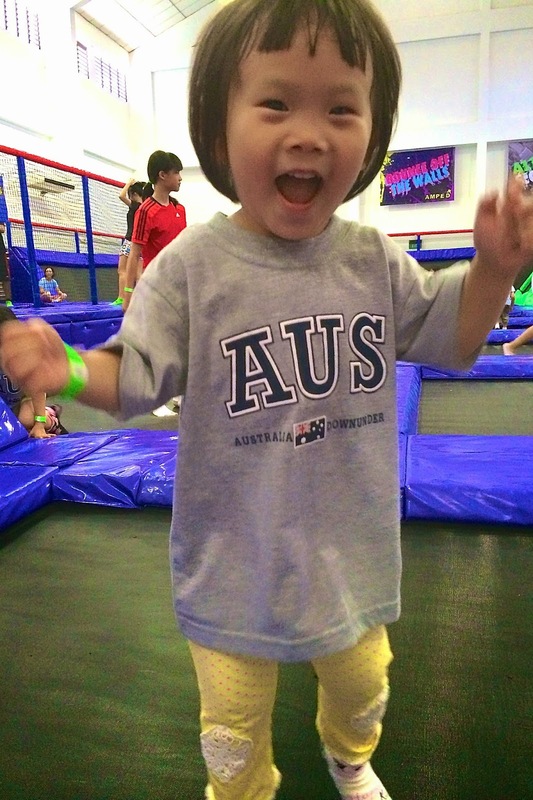 We went to have a workout session on the trampoline with our CG friends this morning! 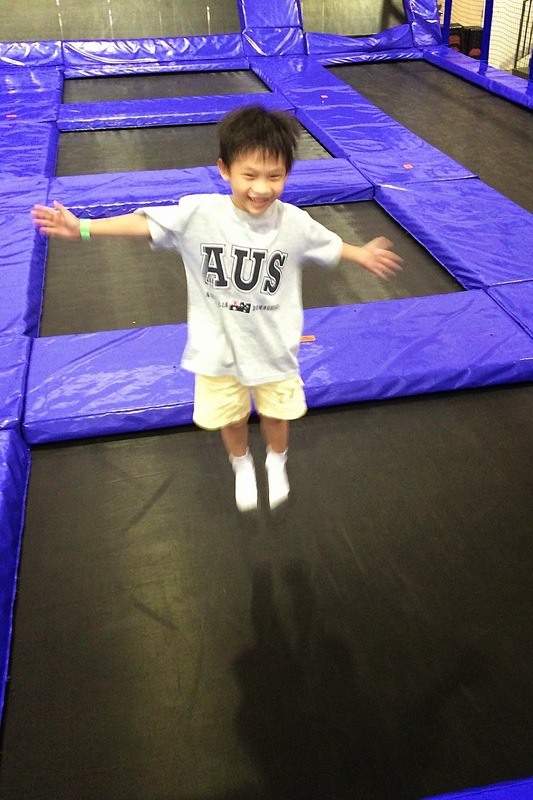 The kids had a blast and it is very worthwhile to go on a Monday because the rates are the cheapest at $10 per person! The exercise really tires the kids out as they actually came out on their own even before the hour was totally up. LOL I will definitely go there again the next holiday. 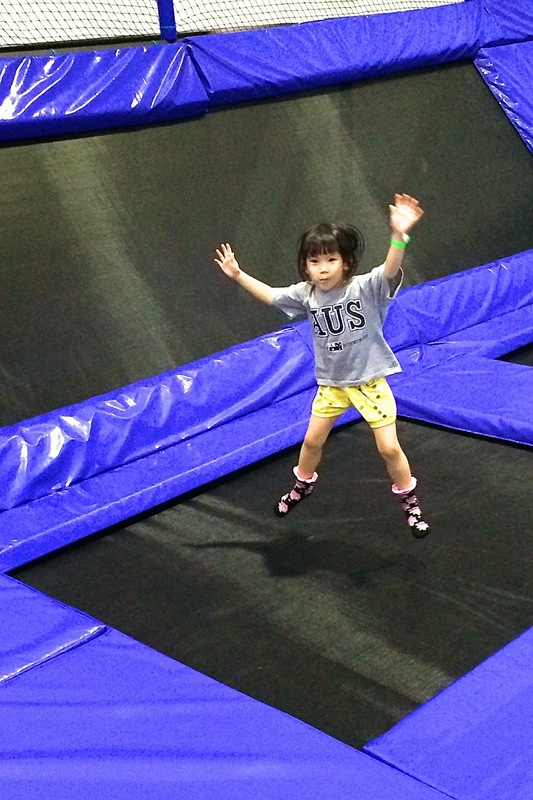 Watch them have their jumping fun!